The very definition of death by chocolate, this cake consists of three layers of rich chocolate cake filled with chocolate ganache and buttercream combined. 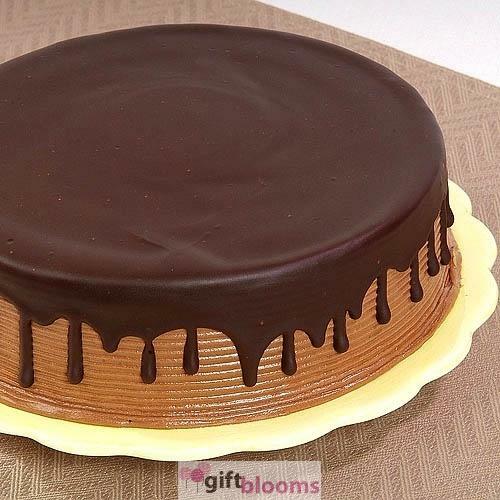 To top off the cake, chocolate is poured over the top and sides to take your taste buds over the edge with a chocolate rush.7" Cake Serves 6-10.10" Cake Serves 15-20.Cakes may be personalized up to 25 characters. Enter your cake's message in the gift note section of the Shopping Cart.